A shattered rock as large as a 3-storey house sits in an alfalfa field on the flat Alberta prairie. It is about 30 minutes from my home in Calgary and the rock is more than a little startling, resting out in a big flat open field. The native Blackfoot people considered the out-of-place rock sacred. They called it Okotoks, which means Big Rock. They had a legend that the Creator Napi had offered his robe to the rock but Napi took it back when the weather turned cold and the Creator had a chill. The rock chased Him. Finally (and this part may be just a myth), a bird farted on the rock, knocking it from the sky, allowing Napi to escape. The rock shattered, but remains quite impressive. Modern geologists tend to doubt the story, but they agree that Big Rock did travel a long way to get to where it is. About 500 kilometres, in fact. The huge boulder rode into southern Alberta, Canada, atop a kilometre-high glacier from Jasper National Park. It was dropped when the glacier melted at the end of the last ice age, about 12,000 years ago. Although the erratic was originally called Okotoks, I’ll call it Big Rock here, to distinguish it from a small city ten kilometres away also called Okotoks, which is named for the rock. Besides, Big Rock is what the travel guides call it. Grey, pink, and white fractured quartzite. Big Rock is a massive, highly fractured grey, pink, and white quartzite rock with minor dark brown, dark red, and black banding and some minor veins of crystalline quartz. The monolith is a glacial erratic – a rock carried by glaciers along a glacial train, then deposited upon the prairie when the transporting glacier melted. Big Rock is an apt moniker because it is believed to be the largest glacially deposited erratic in the world. The local underlying geology is quite different from the extremely large erratic (16,500 tonnes; 9 metres height and 40 metres length) which sits forlorn upon the Paleogene Porcupine Hills Formation (approximately 40 mya), a nonmarine mudstone interbedded with fine- to coarse-grained cross-stratified sandstone and siltstone. Twenty kilometres to the west, rugged thrust sheets of the Rocky Mountain foothills dominate. Big Rock rests on the flat high prairie at 1144 metres elevation; fifty kilometres west, the Rocky Mountains top 3,000 metres. The nearness of the foothills and the mountain range are significant to an understanding of the location of the rock. 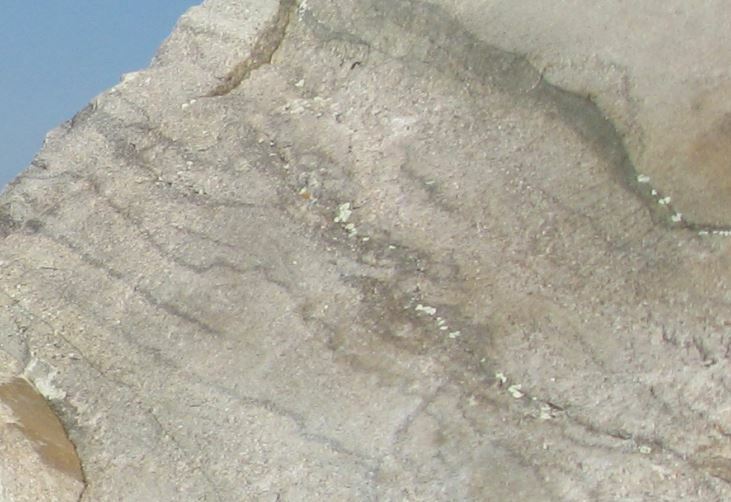 Big Rock’s metamorphic quartzite contrasts significantly with the underlying Paleogene sedimentary formation. Even the first European explorers knew it was out of place. John Hector, the first geologist to study the rock (1863) suspected it had been transported as part of a thrust sheet from the nearby mountains. He was wrong. The nearest Rocky Mountain exposures are limestone and shale, not quartzite. Quartzite rocks similar to Big Rock are found far to the northwest, in Jasper National Park. These were discovered by Eric Mountjoy in 1958. Mountjoy showed that the Big Rock erratic originated in the Cambrian Gog Group (600-520 mya), a metamorphic formation exposed on peaks that Mountjoy examined high above the Tonquin Valley in the national park. The Gog began as sands deposited in a shallow Cambrian sea. The quartz minerals were buried deeply, subjected to heat and pressure, and became quartzite. During the formation of the Rockies, the old Gog Group was lifted and exposed to erosion. 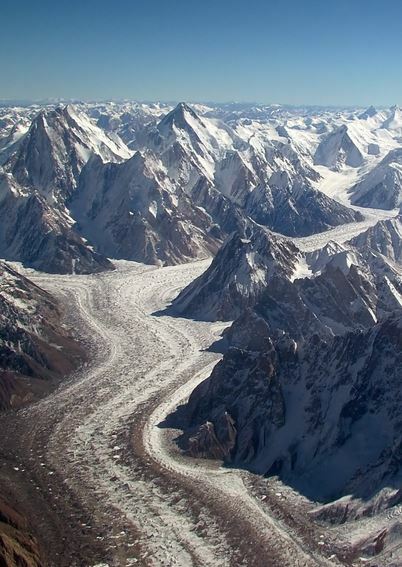 Eric Mountjoy surmised that a landslide, likely due to destructive ice sheets approximately 15,000 years ago, deposited the exposed quartzite on top of the glacier. That glacier acted like a conveyor belt, transporting the huge quartzite rock 500 kilometres from Jasper’s Tonquin Valley to its present location, near Calgary. Geologists have referred to this glacial activity as the Foothills Glacial Train because it was narrowly confined between the Rocky Mountains to the west and a larger, rigid continental ice sheet to the east. The glacial erratic train melted, leaving a sparse string of similar, but smaller, erratics along a trail from west central Alberta into Montana. It took about 3,000 years to deliver the rock via the glacial express train and subsequently deposit it on the flatlands. For the next 12,000 years, the Okotoks Big Rock was exposed to harsh prairie climate conditions. Summer heat at times exceeds 40° C while winter temperatures typically fall below -30° C. Rainfall is not excessive, but sufficient to lodge in cracks and widen them through freezing and thawing cycles in spring and autumn. This contributes to the fractures seen on the rock today. In summary, Big Rock was subjected to a series of geological misadventures which resulted in its present location and condition. The events spanned since the rock’s deposit as sedimentary sandstone in the Gog Formation approximately 600 million years ago, subsequent burial and metamorphosis into quartzite, uplift in a Rocky Mountain thrust sheet about 70 million years ago, and then the landslide which placed it on the glacial train, 15,000 years ago, which flowed southward at a rate of about 100 – 150 metres per year, (typical for an advancing glacier). When the climate exited the ice age cycle, the glacier melted, leaving Big Rock on the open prairie where weathering has led to massive fracturing. This is almost the end of the (many-million-years-old) story. About 40 years ago a local construction team decided to take a few sticks of dynamite to the rock, intending to use the material on a road. The dynamite was never lit – folks in the nearby town of Okotoks stopped the destruction of their Big Rock. Since then it has become a minor tourist draw. (As in, “What do you wanna do this weekend? 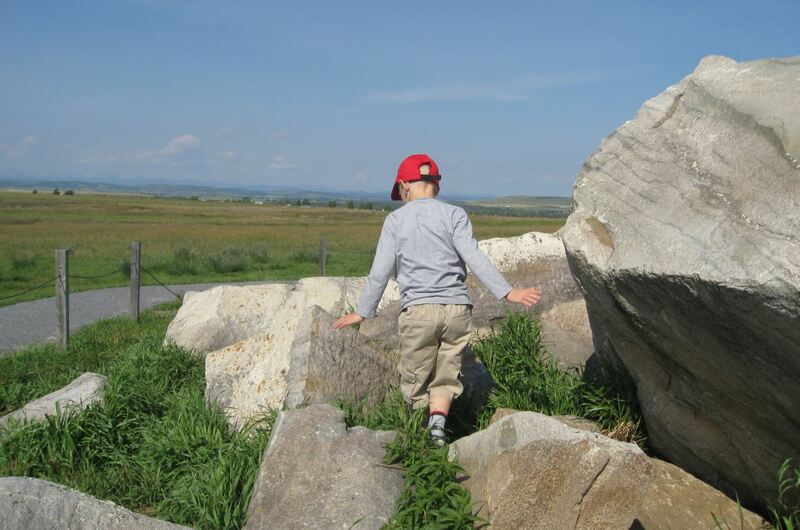 I dunno, why don’t we drive down to Okotoks for ice cream and then go out to see the Big Rock.) A nearby parking area was recently built, a trail paved across the field, and a fence placed around the rock. The last time I was there it was a hot Sunday August afternoon and about 15 people were walking around the rock. A few furtive rock climbers were on top, contrary to the posted rules. But it was all good. This entry was posted in Culture, Religion and tagged Alberta, Big Rock, Canada, geology, myths, Okotoks. Bookmark the permalink.